Here's an illusion that's sure to give you a headache. 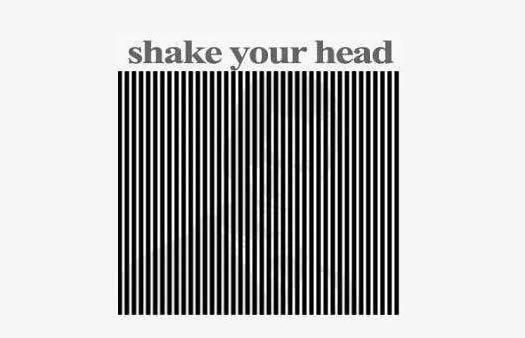 Try staring at the vertical lines while shaking your head from side to side - you should see something interesting. Still don't know who it is but I feel quite sick! It looks like Chris Hanson (To Catch A Predator). Omg that was so cool.... I saw it but my family couldn't.... they made me feel awkward.... nice 2 know other people see it! wow.it was dizzy but i saw like a man with a black suit or something. i m supposed to see that, right? I saw a man but couldn't tell who he was. Now that people have said Neil Patrick Harris, it sort of looks like him, I suppose. Does anyone actually know how to make one of these yourself? if you have a laptop and move the screen away from you you can see him clearly!! Picture of a dark haired man! it is something like a picture of a man. I thought it was president. Am I right? Could not see clearly but i guess it was a man.